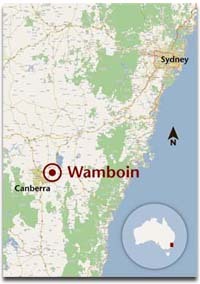 The Wamboin Community Association seeks to serve the Wamboin community through the maintenance of community facilities such as the Wamboin Community Centre, the coordination of community groups that are active in the Wamboin area, and through representation of the interests of the Wamboin community in Local Government issues. The Wamboin Community Association Inc. (ABN 70 482 368 904) is an incorporated association, registered in the state of New South Wales. The WCA Constitution, Forms and meeting minutes are available for download. Contact details for current WCA office bearers are listed on the Contact Us page. If you have any queries relating to this site or its content, please email the WCA Webmaster.